After searching the marine industry for a dry dock solution that would help avoid the dreaded annual anti-foul and reduce maintenance bills, in 2010 Dean Howard, the Founder of FAB Dock, developed the FAB Dock dry docking solution. 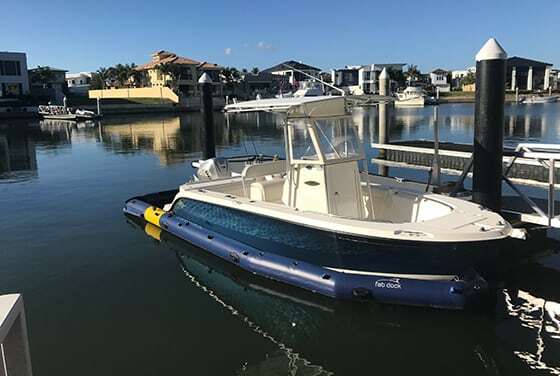 Although there were many solutions available in the market, Dean could not find one that ticked all the boxes, that is, easy to use, reduce maintenance costs, make docking his vessel easy (even for his Wife) and environmentally friendly. Not being happy with the solutions available on the market, Dean knew there had to be a better way. From here he proceeded to design, research and develop a superior product that delivered on simplicity, savings and protection. 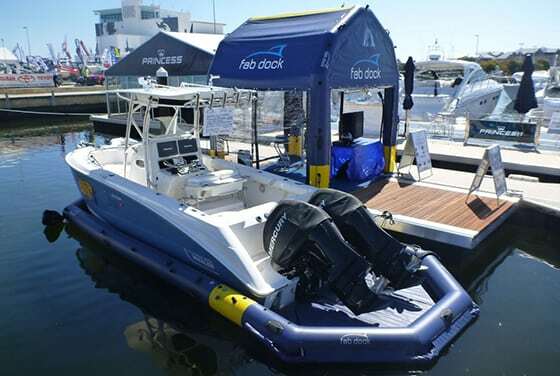 FAB Dock was officially launched at the Sanctuary Cove International Boat Show (SCIBS) in 2011. The boating lifestyle is one that most envy and as we say ‘a day on the water is like a week on holidays’. A day fishing with mates or out on the water swimming and relaxing is something money can’t buy. That is until it’s time to berth your boat at a marina or on your pontoon at the end of the day when the wind has blown up and the current is strong. A FAB Dock dry dock solution helps you enjoy the boating lifestyle, stress free. Not only will your FAB Dock keep your boat clean and dry, its inflatable and flexible design means that you can simply bump your way in when berthing your boat, gone is the need for someone to leap off the boat with ropes and fenders. Your relaxing day out on the water can continue right up until your boat is safely tucked up in your FAB Dock. Since the launch of FAB Dock in 2011 we have been consistently innovating. Our customers have been with us on the journey and their support has been invaluable and appreciated. We consult with them regularly and because of their feedback, we believe we have the most revolutionary dry docking system ever invented. We have developed a patented out-of-water sensor system and created a product that will allow for all different boat drives (outboards | inboards | shaft drives). Further our patented harnessing system has allowed us to evolve our custom made service offering to include an economically priced Universal Range. This range provides clients with an off the shelf product that can be shipped and installed efficiently, saving time and money. Did you know? The average customer will pay for their FAB Dock within three years from the savings made on fuel and maintenance. 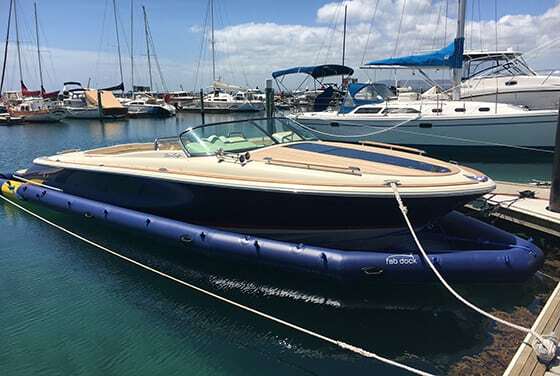 Our experienced and dedicated team have spent over 8 years perfecting our product to provide boaties with a premium and simple solution to docking and storing their vessel, whilst keeping costs to a minimum and protecting their surrounding environment. Our success can be attributed to our intense research and development, determination and passion for the marine industry. The result of this drive is a unique product that is the single most affordable solution to boat maintenance, while keeping waterways free from compounding and deadly anti-foul toxins. Each FAB Dock offers competitive pricing, is transportable and operates on 12 volts (making it possible to run via solar power). 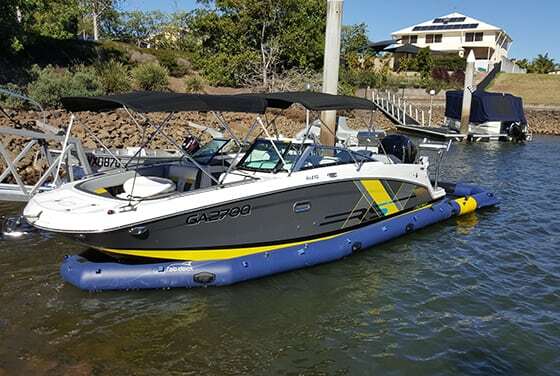 The systems are constructed using the highest quality, UV resistant, submersible and seal-able parts sourced from Europe, the US and Australia, and are assembled by a skilled team with over 300+ years of combined experience. Every seam, cut and weld is analysed and tested for performance in harsh environments. We stand behind our product and its ability to stand up to the harshest of conditions of living in a salt water environment. We are proud to offer every FAB Dock owner a 3-year warranty on the material and workmanship, with 12-months warranty on electrical componentry. Like anything in life, the more you take care of your marine equipment, the longer it will last. It is for this reason that we recommend all FAB Dock owners look after their product with the inclusion of an annual FAB Dock service. This hassle-free, optional service is conducted by one of our trained and professional FAB Dock technicians within your region. This service is an optional add-on that helps owners to ensure they are maximizing the lifespan of their FAB Dock product.